Great interview, thanks for the giveaway! 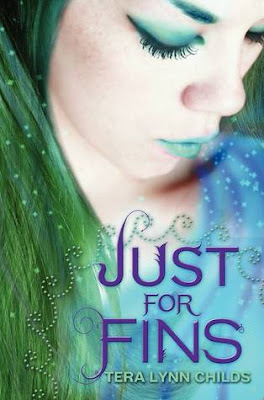 I just read Forgive My Fins yesterday and really enjoyed it. I would love to be entered to win Just For Fins! Wahoo!! I've heard lots of good things about this book! I can't wait to read it! I love the cover! Thanks for the giveaway!!! I had no idea that Tera was so prolific. I love the look of this series. Please enter my name in the draw to win a copy of Just For Fins. Thanks. Thank you for the great giveaway! I can't wait to read this series. I have heard of this book before but honestly didn't realize what this book was about...but it sounds really good! This is such a cute series! Nice interview. The book sounds good. I enjoyed this interview! It is always nice to find out a bit more about an author. I liked hearing how she came up with the title for her first series (I remember the show that sparked it). I would love to be a mermaid, too. Thanks for the giveaway. Thanks so much for the giveaway. This is awesome! Love the interview and can't WAIT to read this one :) Thanks for the amazing giveaway!! I adore Tera. Thanks for the giveaway. Great interview! Mermaids are an underused supernatural creature, and I think it's great that so many more books are coming out featuring them! Of course my favorite will always be the Forgive My Fins series! I am very glad about being apart of the SPLASH TEAM :) I really would love to win this and I would greatly cherish it :)! Hope I win! !